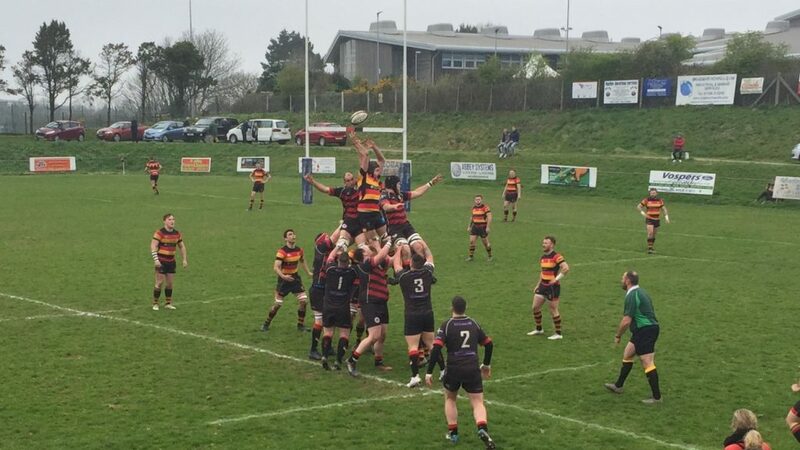 Penryn’s 22-25 loss to Saltash on Saturday has left a big dent in their hopes for promotion from their division, and ended their 8 game winning streak in the league. The hosts were dominant in the first half and went into the break 10-3 up, with Adam Hughes scoring the only try of the half, before being forced off with a shoulder injury. 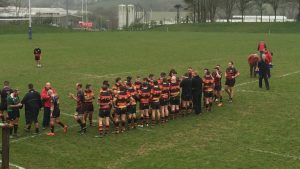 However, the home side came undone early into the second half, when two yellow cards in the space of two minutes left them facing a dangerous Saltash attack with only thirteen men on the field. Borough attempted a late comeback, and brought the game to within three points. But the 15 point deficit proved to great, and the referee called an end to the game before they could catch the visitors. 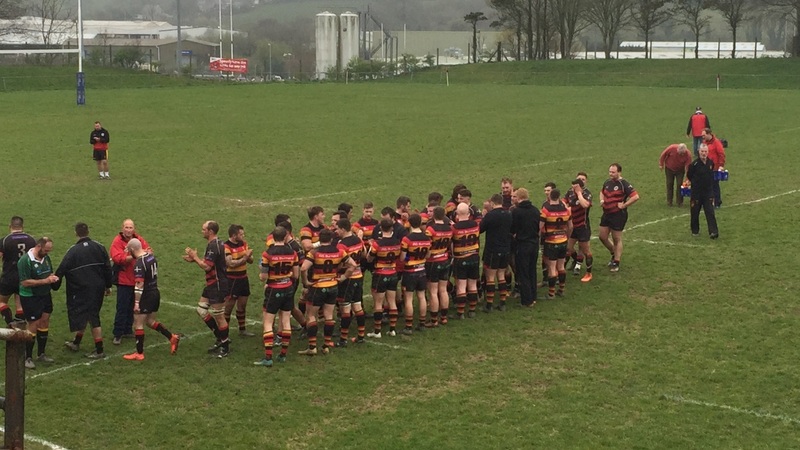 Penryn and Saltash congratulate each other at the end of a hard fought match. Penryn’s final two games are against Tavistock and Withycombe. Stadium for Cornwall CORNWALL paid for with Cornish peoples” Council Tax. I”m expecting to find the business benefits to residents of Bude, Saltash, Padstow, Roseland and Carlyon Bay in that business plan, particularly if everyone”s money is going to be sequestered from other services elsewhere to pay for the bloody thing.